I never noticed on the inspection of the revolver when I accepted it, sure did at the range though. 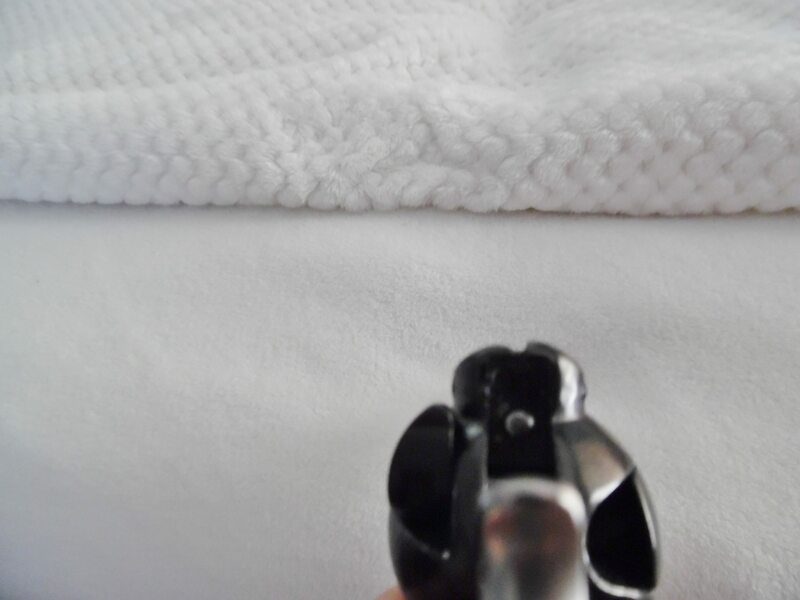 The grove sight on my rough Rider.22 revolver leaves a lot to be desired....actually it is real bad. The left side is way below the right side groove depth. 777Driver, daveindenver, taurustoter and 2 others like this. That's not good. Call Heritage CS. I've seen a lot of SA revolvers, shot a lot, and own a few. But I've never seen anything like that. So, how's it shoot? taurustoter and MARINEDIVISIONTWO like this. As above - contact Heritage for warranty work if still in warranty period. That is unacceptable. I could not get anyone on the phone...e mailed them....wish I could add a picture on the e mail. Wow... way different than mine. I hope contact with C.S. goes well for you. Not sure what could be done to correct this problem. It is not like the sight is a separate part of the pistol...it is a molded part of the frame. silverstring and MARINEDIVISIONTWO like this. You are correct, they will have to replace the pistol. If it were mine and warranty was expired I would grind it level, file the notch and then file down the front blade until the point of aim and impact were the same. loudviking, MARINEDIVISIONTWO, silverstring and 3 others like this. cities, as in Europe, they will become corrupt as in Europe." Crud. Sorry you have to deal with gross quality control problem like that.